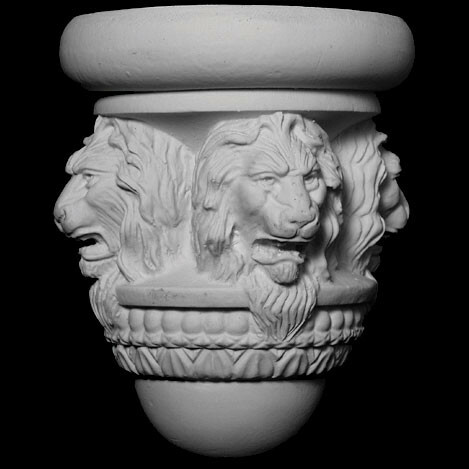 The Lion Face resin base can be used as a furniture leg, it is a 360 degree round part. Designed for use in the cabinet and furniture industries. They are a perfect carved detail for the bottom of base cabinets, typically used in bathroom sink or cabinets. Many cabinet builders and furniture companies use them as base feet for the bottom of armoires, self-standing closets, night stands or dressers.